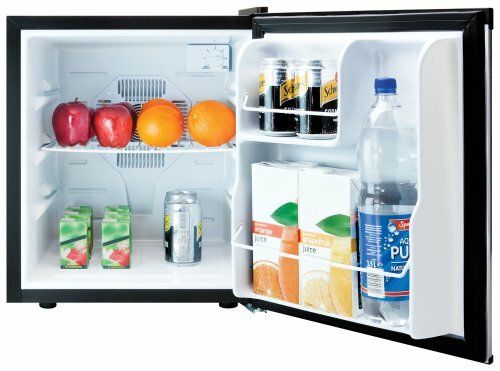 A small or compact refrigerator is an ideal choice for places where you simply don’t have the space for a larger model, such as a college dorm, a small office, caravans or RVs or even boats. 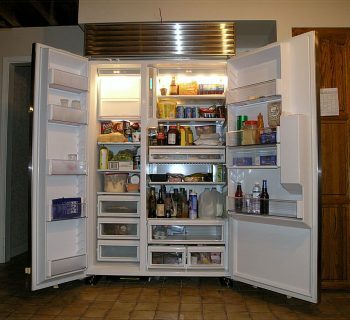 Small refrigerators can fit into tight spaces such as uder a desk or in a cupboard, or can be placed on top of a counter. 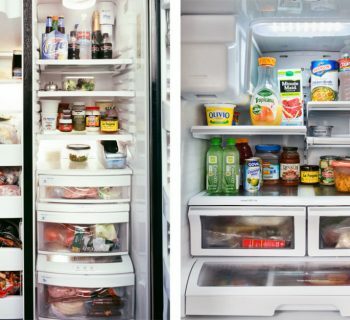 Here are the top picks for the best small refrigerator. 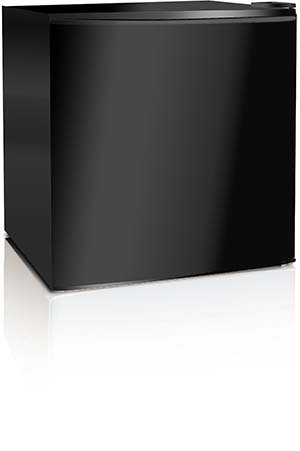 This black, small refrigerator has a 1.6 cubic feet capacity and uses environmentally friendly technology. It comes with a reversible door and a separate chiller compartment. Its external dimensions are 17.7x18.6 x19.4 allowing it to fit in the tightest of spaces. This model does not have a freezer but its temperature adjustment ranges from 32F to 35.6F. 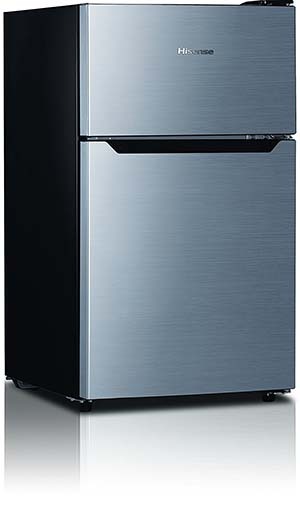 This small refrigerator comes in attractive and sleek stainless steel and includes a freezer so is an ideal choice for small kitchens or areas away from the house where you want to enjoy cold drinks and food. 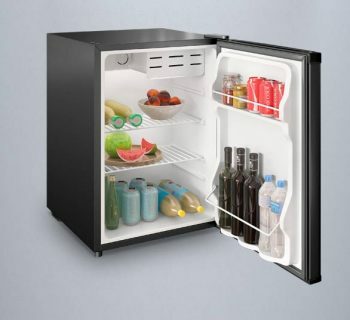 The compact refrigerator-freezer is small enough to fit under a counter or built in a cabinet or piece of furniture. 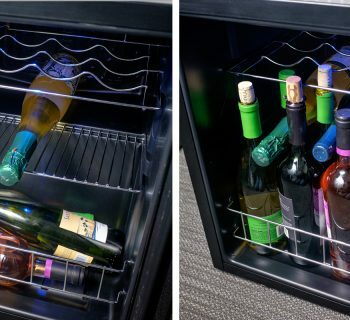 The refrigerator includes a crisper drawer and adjustable shelves. It has an extremely quiet compressor that is almost undetectable making it perfect for tiny homes and bedrooms. Its external dimensions are 18.5x19.37x32.95 inch and includes adjustable height legs ideal for uneven floors or surfaces. 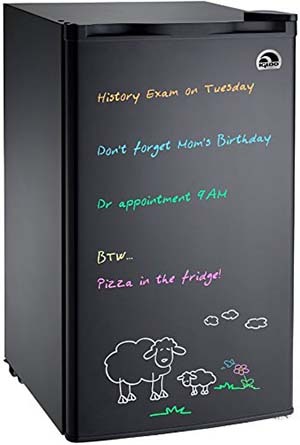 This fun and unique small refrigerator from Igloo has a dry erase board as a front door and comes with neon markers, perfect for leaving messages or doodling. The compact refrigerator has a 3.2 cubic feet capacity and external dimensions of 18.25x20x33.25 inches. The door is adjustable to open either way and includes a freezer space. There is an adjustable thermostat and slide out glass shelves. 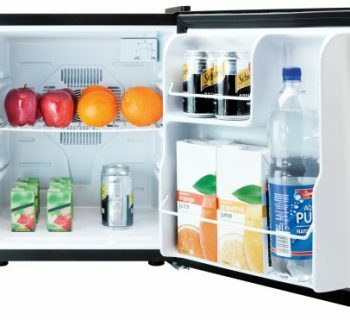 The small refrigerator is perfect for offices, small kitchens, dorm rooms and even play rooms. 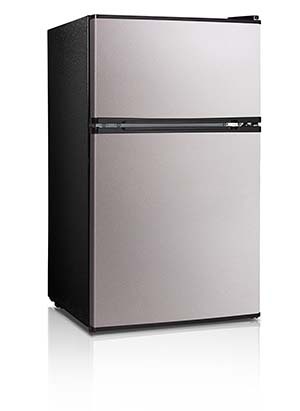 This small refrigerator from Hisense has two doors with a separate freezer compartment. 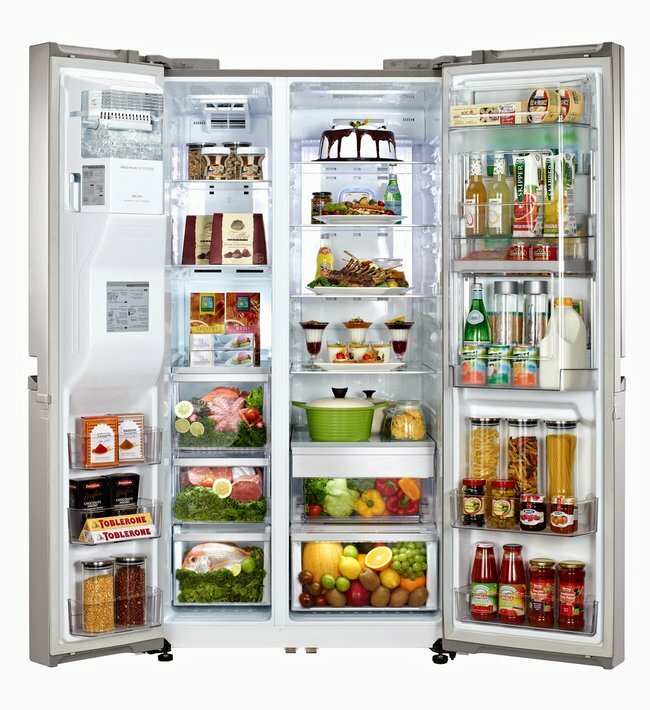 Its total capacity is 3.3 cubic feet with a 2.3 cubic feet refrigeration compartment and a 1.0 freezer compartment. It comes with 2 removable glass shelves and the doors are reversible to open either way. Its external dimensions are 21.5x18.7x33.7 inches and is attractive stainless silver colour makes is an ideal choice for the small but contemporary kitchen, office or leisure space. 5. 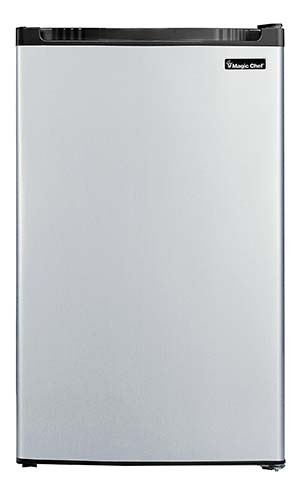 Magic Chef MCBR440S2 Refrigerator, 4.4 cu. 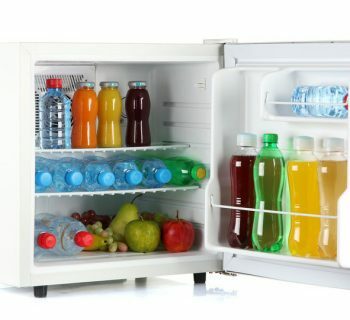 ft.
A small refrigerator will keep foods and drinks cool and fresh just as well as standard refrigerators and a lot have dedicated and efficient freezer compartments. They can serve as ideal choices in tiny homes, dorms and leisure areas. 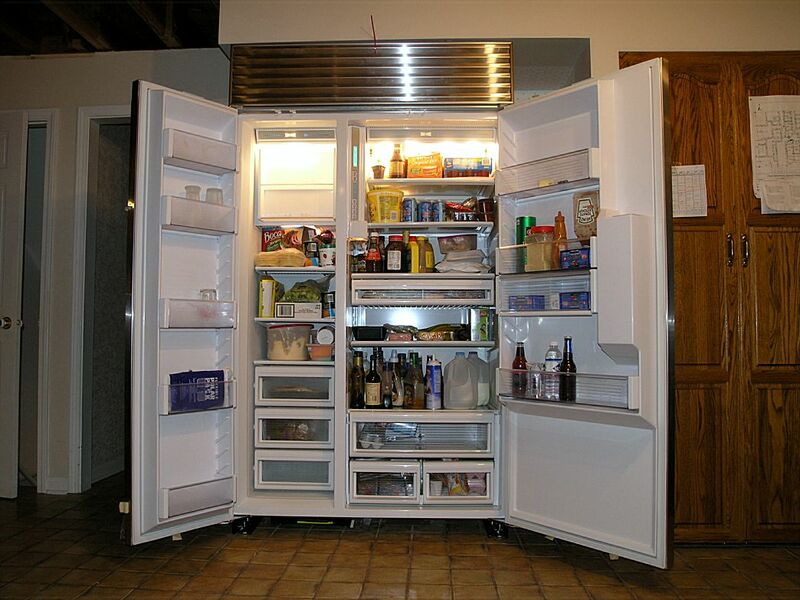 Most small refrigerators use compressor-powered cooling systems. Alternatively a small refrigerator may use a thermoelectric cooling system, which tend to be quieter but slightly less efficient. In choosing a small refrigerator make sure you also bear in mind weight, which can be particularly important when using in vehicles or if you simply need to move it from place to place.